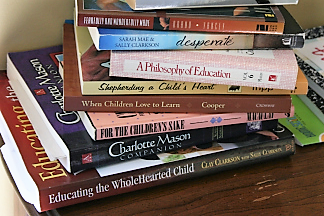 There are countless resources available today for homeschoolers! We've compiled a few of the best ones to help you get started with homeschooling or to enhance your home education journey. Select a category below to learn more about homeschooling in Michigan, discover helpful websites for parents and home educators or find local places to visit. Are you brand new to homeschooling or considering it for the future? On our "Getting Started" page, you'll find helpful websites that will guide you through the process of beginning to homeschool in Michigan, plus lots of encouragement to help you make the transition! Visit any of these blogs to get a daily dose of encouragement and practical ideas to enhance your homeschool, whether you're a mom of preschoolers or a seasoned veteran! Here you will find links to free online educational videos, worksheet generators, curriculum reviews, homeschool planning help, and in-depth websites tailored toward various homeschooling philosophies. Websites that will encourage you to build a strong family and raise children with character! Do you have a link that you think we should add to this page? Let us know!